Horace Julian Bond, born on January 14, 1940, in Nashville, Tennessee, was the descendant of several generations of black educators and preachers. When his father Horace Mann Bond became president of Lincoln University in Oxford, Pennsylvania, the family moved into an environment that was mostly white. While in Oxford, the elder Bond caused a stir because of his protests against segregated facilities (people being required to use different facilities based on their race) and white attitudes of racial superiority. Young Julian, however, adjusted relatively easily to his new environment. He attended elementary school with white children and won the sixth grade award for being the brightest student in the class. He was sent to George School, near Philadelphia, Pennsylvania, for his high-school education. He encountered a few instances of racial prejudice (being judged because of his race) during these years, but on the whole he adjusted well to the academic environment—although his grades were only average. His father later became president of Atlanta University and the family moved to Atlanta, Georgia. Despite rumors of racial unrest, Bond decided to attend Morehouse College in Atlanta after his graduation from high school. Bond started college in 1957. At Morehouse, Bond became the coordinator and spokesman for civil rights demonstrations. He started an Atlanta student civil rights group called the Committee on Appeal for Human Rights. In 1960 Ella Baker (1903–1986), secretary of the civil rights organization known as the Southern Christian Leadership Conference (SCLC) invited students to meet at Shaw University, in Raleigh, North Carolina, to coordinate their efforts. Martin Luther King Jr. (1929–1968), president of the SCLC, and Reverend James Lawson Jr., a believer in nonviolent resistance, spoke to the students and invited them to join the SCLC. Instead of joining the SCLC, several hundred students, including Bond, decided to form their own organization. They called their organization the Student Nonviolent Coordinating Committee (SNCC). Bond was appointed communications director for the SNCC. He kept this position from 1960 until 1966. He became very active in the SNCC, dropped out of college, and did not complete his degree at Morehouse until 1971. Segregation in the South meant that very few African Americans held positions in government or in public service. The SNCC felt that it was important for African American candidates to seek elective offices. When the SNCC asked Bond to run for the Georgia House of Representatives, he reluctantly agreed to enter the race. Bond campaigned by visiting people door-to-door in the 136th legislative district. He gained the confidence of the people and easily won the election. the Vietnam War (1955–75; a war fought in Vietnam in which South Vietnam, supported by the United States, was fighting against a takeover by Communist North Vietnam) that had been released by the SNCC. When Bond said he had not seen the release, the newsman read it to him. Bond then said he basically agreed with the statement. Upon hearing this, the other Georgia legislators voted to keep him from taking his seat in the House. Almost a year later, the U.S. Supreme Court declared the House vote to be unconstitutional. Bond was installed in the Georgia House of Representatives in January 1967, more than one year after his election victory. During his time as a Georgia state representative, Bond supported civil rights laws, welfare legislation, a minimum-wage provision, legislation to end the death penalty, and antipoverty and urban renewal programs. In 1968 Bond led an SNCC-backed delegation to the Democratic National Convention in Chicago. Their purpose was to challenge the delegation led by Georgia governor Lester Maddox (1915–) and to make sure African American delegates represented African American voters. Bond's delegation won half the votes away from the traditional delegates. Bond served in the Georgia House of Representatives until 1975. In 1976 he won a seat in the Georgia state senate. In 1986, however, Bond gave up his state senate seat to run for U.S. Congress. Bond's political life took a downward turn as he lost the Democratic primary to his former friend and colleague, John Lewis (1940–). Then in 1987 Bond's marital problems became headline news when his wife accused him of adultery and of cocaine use. In the early 1990s, Bond served as a visiting professor at several universities, including Harvard University and the University of Virginia. He also narrated a Public Broadcasting Service (PBS) documentary about the civil rights movement, hosted television's America's Black Forum, wrote many newspaper and magazine articles, and had a newspaper column that was printed in newspapers across the country. Since 1998 Bond has served as chairman of the National Association for the Advancement of Colored People (NAACP). In 2002 Bond was reelected to his fifth term as chairman of the NAACP. He said that he was looking "forward to another year of progress in our fight for freedom, justice, and equality for all citizens." It is clear through these words that Bond has remained as committed to civil rights as he was when he first joined the movement. Jordan, Denise. 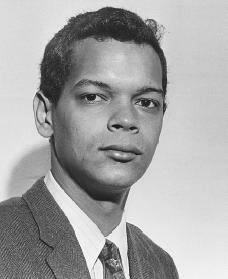 Julian Bond: Civil Rights Activist and Chairman of the NAACP. Berkeley Heights, NJ: Enslow, 2001. Williams, Roger M. The Bonds: An American Family. New York: Atheneum, 1971.